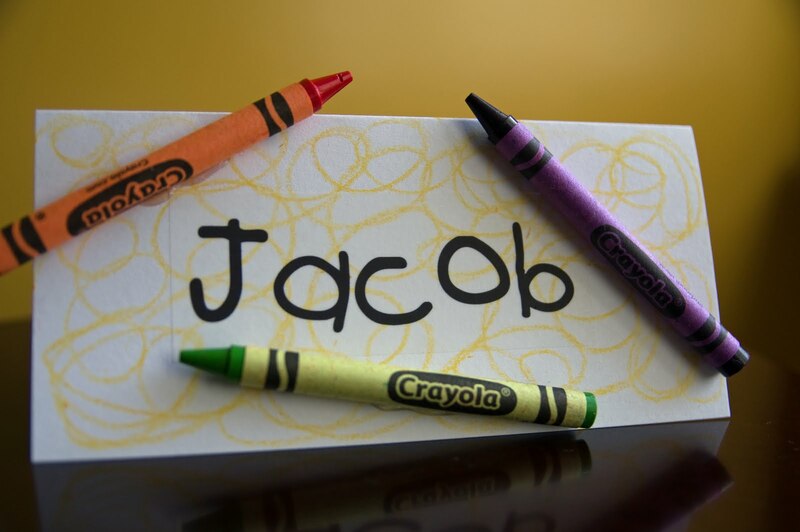 Place Cards: A really easy idea for a place card (or food label) is to "doodle" on a piece of cardstock paper and attach crayons to it. Centerpiece: A few months ago I created some centerpiece ideas that I shared here. I took this basic idea and Elmo-ized it. 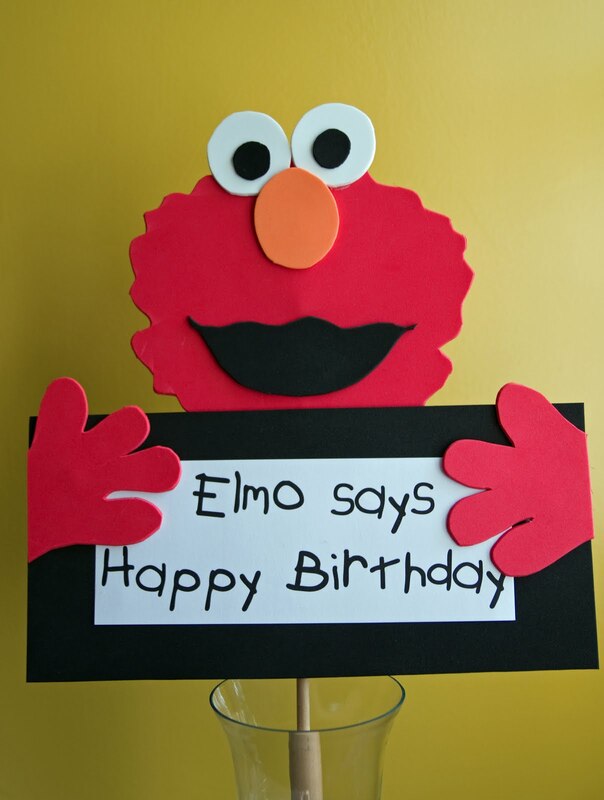 Placemats: Have you ever noticed the adorable pictures that hang on the wall in the Elmo's World episodes? 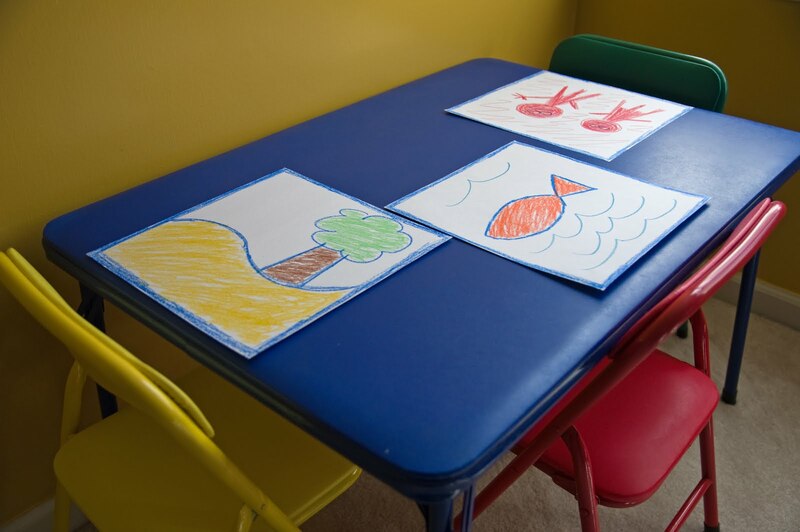 A really easy idea for placemats is to draw those pictures using crayons on a piece of cardstock and laminate them. 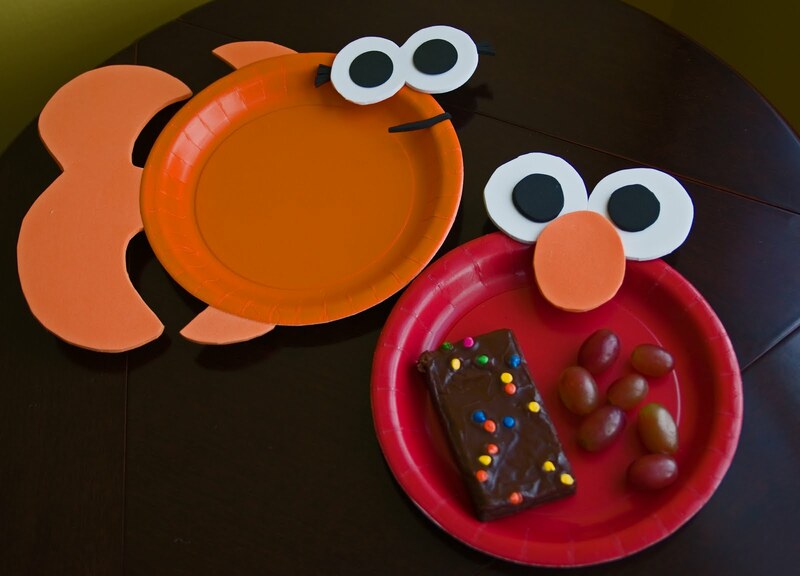 Hope these ideas are helpful if you're planning an Elmo-themed event! You are the BEST! So cute.. I'm pretty sure you're a genious! You just saved my 2 year old's birthday party! I'll take pics! THANK YOU! 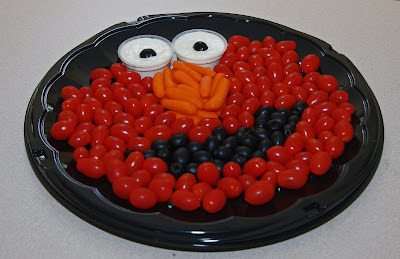 That elmo veggie tray may just be the CUTEST thing I've ever seen! I may have to bring one to my next potluck! College kids still like elmo, right?! TOO CUTE!! Definitely doing this for my daughter's 2nd birthday! Do you have a template for the Elmo centerpiece? Wow. I feel like I hit a goldmine. thank you! I love the Elmo vegetable tray. You could easily create the other Sesame Street characters using other fruit or vegetables too... I am thinking a blueberry Cookie monster and a broccoli Oscar the grouch! I love your creative ideas. The placemats from the Elmo's World pictures is awesome! I could even do the outlines and have my son color them for his room! The place card idea is so cute too! I made a Bird Bird tray of cheese and crackers, along with Oscar out of broccoli. http://www.justmeasuringup.com/blog/whats-a-party-without-themed-food They turned out so cute! I am a married mom of two who started this blog as a creative outlet for my event planning business. I hope that anyone who finds their way here enjoys the ideas, but more importantly is inspired to entertain!